I’ve been diving into Windows Azure Pack lately, to explore some of the cloud characteristics this solution will bring to your organization together with System Center 2012 R2 (SCVMM, Orchestrator and SPF). Recently, Microsoft announced some cool stuff on their codeplex (community) site. During TechEd, you may have seen the presentation by Eric Winner and Marc Umeno on the subject, and where they talked about gallery items in Windows Azure Pack. Gallery items in Windows Azure Pack is a set of predefined services that you can offer to your tenants. Interesting is the relation to service templates in VMM with the design, but currently they are very different. A service template in VMM can be authored with both PowerShell and the console, and is still the most flexible and powerful solution. However, service templates isn’t exposed to the tenant API/portal in Windows Azure Pack. Hence, we get gallery items. The story has been clear by now. 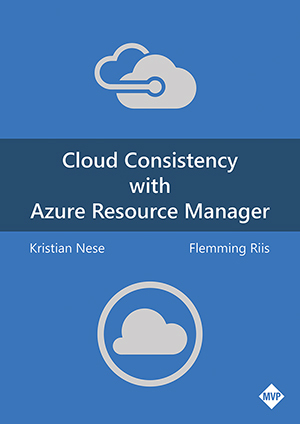 This R2 release is a result of huge investments in Windows Azure and Microsoft are first building for the cloud (Azure) and then for bits you are able to purchase and run on your own. Gallery items is basically “service templates” that is built to serve a service, like web server, application server and any other server role/application. If you have little or none experience with Windows Azure, please continue to read where I will try to explain in a bit more detail. Windows Azure when first released, was all about Platform as a Service. This service model (referring to the definition of cloud computing) is basically based to provide developers with a scalable framework, where they can write their code, upload the code and packages to Azure, where Microsoft’s high-tech datacenters is able to execute the application in an architecture where everything is loosely coupled. Personally, this is perhaps the most interesting service model as it ‘forces’ you to modernize you applications to fit into this model. If you are looking for a place to run highly scalable internet application, Windows Azure was a very good option back in 2008-2010. We now got some new services in Windows Azure, and we can leverage the more traditional Infrastructure as a Service – service model. This gives us virtual compute, virtual networks, virtual storage and virtual machines that we can manage as they were running on-premise. As Infrastructure as a Service was introduced back in 2011, we saw some changes to the Platform as a Service mode, or to be more precisely, we got something called ‘Cloud Services’. Cloud Services was either a worker role, web role or a virtual machine role. Together with traditional virtual machines, we now had options when creating applications and services for the public cloud. Back to Windows Azure Pack. In Windows Azure Pack, we can create traditional virtual machines (infrastructure as a service) together with virtual networks. All of this are running on Windows Server 2012 R2 (Hyper-V) and System Center 2012 R2 (SCVMM, Orchestrator with SPF). New in this release, is support for both Service Bus and Virtual Machine Roles. Both of these are related to platform as a service, and we are now focusing on Virtual Machine Roles. The gallery items are the building blocks for your virtual machine roles. Let’s explore this and see how we can get things running in our cloud (either private cloud or service provider cloud). 2) Click the "options" link at the bottom of the WebPI UI. 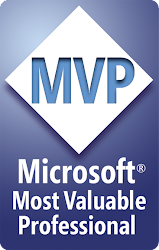 3) In the custom feed field, enter the following URL: http://www.microsoft.com/web/webpi/partners/servicemodels.xml. 4) Click "Add Field" and dismiss the dialog. Please note that only the three Windows Server 2012 * resources are related to gallery items. Both Service Template Example Kit and Sharepoint 2013 Service Template are only suited for service templates in SCVMM. Once downloaded, we can navigate to the folder we placed it into and see the items. Included with every resource, we have a readme file. Note: there are some important steps missing in the readme file to get this working, so pay attention to the instructions later when importing and customizing the resources in the SCVMM library. Import the resource extension package into System Center Virtual Machine Manager. Ensure the virtual hard disks in SCVMM are properly prepared and have all the necessary properties set. Import the resource definition package as a gallery item. Make the gallery item public. Add the gallery item to a plan. The import can only be done using Powershell. To verify the import, run the get-CloudResourceExtension Powershell command and locate the newly imported extension. Since you have landed on this blog, I already assume you are familiar with sysprep and how to take action on this, either manually or by using SCVMM. You must provide a virtual hard disk from which the virtual machine role will be created. If you already have a vhdx file in your library, go ahead and use this. Note: to actual get this working, you must have two disks in your library. One disk containing the operating system, and one disk for the data partition. You only have to prepare the partition used for the operating system in this guide. The disk for data partition will be explained in a bit. The Operating System value can be set using Powershell or the virtual machine manage administrator console. These properties must be set in order for the Windows Azure Pack portal to display the virtual hard disk as an available disk for this gallery resource. The Familyname and Release properties are shown in the portal drop-down list, so set them to values that will make sense to your user. Familyname property values should indicate the contents of the virtual hard disk, including the Windows Server release and edition. For this gallery resource, you should consider the following Familyname values. Familyname and Release values can be set using Powershell or the virtual machine manage administrator console. Note: repeat these steps on your virtual hard disk for the data partition. The important thing to note here is that you must not define any operating system on this disk, as the portal then will consider it to contain the operating system and hence not list it in the data partition field in the portal. NOTE: this .NET3.5 tag indicates that you have pre-installed .NET3.5 in your sysprepped VHD. The tag property can only be set using Powershell. Once the resource extension and virtual hard disk are all correctly set in SCVMM, you can import the resource definition package using the Service Administrator Portal in the Windows Azure Pack. Open the Service Admin Portal. Navigate to the VM Clouds workspace. Note that the gallery item now is listed on the Gallery tab. Now that the packages for the Virtual Machine Role have been installed, you can publish the gallery item to make it available to tenants. To make the Virtual Machine Role available to the tenant, you need to add it to a plan. In this procedure, you publish the Virtual Machine Role that you installed. On the Gallery tab, select the version of the gallery item that you just imported. Click the arrow next to the gallery item name. Explore the details of the gallery item. Navigate back and click Make Public. Select the Plans workspace in the Service Admin Portal. Select the plan to which you want to add this gallery item. 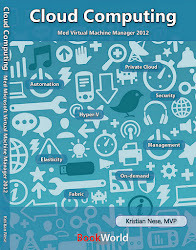 Select the Virtual Machine Clouds service. Scroll to the Gallery section. Select the gallery items that you imported, and then click Save. Brilliant, we are almost done. The last thing to do, is to create a new tenant, or logon with an already existing tenant to this portal. The tenant must then subscribe to a plan that is offering these gallery items. In the portal, click new à Virtual Machine Role à From Gallery. This will bring up the available gallery items. In the ‘Create Virtual Machine Role from ...’ screen, please select the proper item. In my case, I have both a web server and a stand-alone Windows Server 2012 R2 resource. I will select my Web Server and proceed. Assign the virtual machine role with a name (during this process, Windows Azure Pack will check with SCVMM if the name is available or already taken). Select the right version and the right hosting plan. If the gallery item is not available in a hosting plan, you are unable to proceed. The next step will require some input from the tenant. Choose the size of the instance. Extra small, small, Medium, Large, Extra large. The networks you have made available both in the cloud in SCVMM and in the plan is available here. I would strongly suggest you to leverage network virtualization in this case, and provide the tenants to create their own virtual networks prior to this, and deploy the virtual machine role to this network. Default, you will se ‘Computer###’ where the hashes refers to incremental numbers. Decide how many instances this virtual machine role can scale out to. In this screen, you can assign website name and application pool together with your preferred TCP port. Note: if your cloud in SCVMM has any capability profiles associated, the deployment will fail. You must uncheck any capability profiles since gallery items doesn’t have this property. In the portal, we can now see that the virtual machine role is being provisioned. Since I am the SCVMM admin as well, I can check in the Jobs view in the console, that some cool stuff are actually taking place in my environment. Once the deployment has succeeded, you can manage it further in the tenant portal. This screen shots illustrates that I am able to scale my instances for this virtual machine role. Hopefully this was useful to get you started with gallery items in Windows Azure Pack. Running into an error when trying to deploy the VM Role once imported - Did you come across this during your testing? Error Code : AllBootAndSystemVolumesOnSCSINotSupportedOnHyperV ; Message : Hyper-V does not support boot and system volumes on a disk attached to SCSI adapter. All disks containing boot and system volumes must be moved to an IDE bus for the machine to boot up. ; Recommended Action : Modify the bus assignments so that boot and system volume disks are located on an IDE bus. Looks like your template has associated the boot VHD to a SCSI controller instead of an IDE controller, which is mandatory for Gen 1 VMs. Hi, I am getting an error that says it cant deploy a non-ha vm to a clustered resource. How do I set the VM roles to high availability like the templates ? The host groups associated with your VMM cloud, does it contain any stand-alone hosts? Or only clusters?